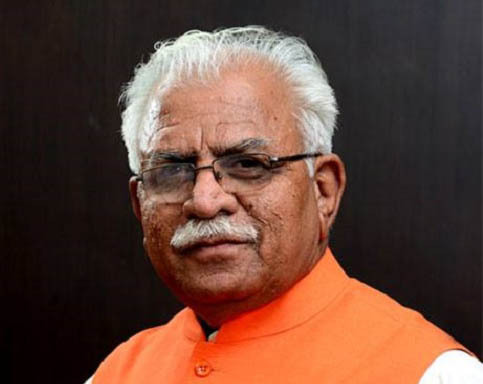 Chandigarh December 1—The Haryana Chief Minister, Mr Manohar Lal, has said that meetings of Gram Sabhas would be held at least four times in a year to ensure maximum participation of villagers in rural development. These meetings would be held on pre-determined written agenda. Mr Manohar Lal made this announcement while addressing the Vidhan Sabha on the second and concluding day of the Winter Session, here today. The state government wants each Gram Sabha to hold detailed discussion with the villagers and send two or three major problems to the state government which should be redressed so that these could be taken up on a priority basis. In order to ensure quality in the development works, maintain transparency and eradicate corruption, the state government is also going to adopt the concept of Social Audit. Social Audit teams would be set up at village level and these would have five to 11 members each, including former village sarpanch, ex-serviceman of the rank of Junior Commissioned Officer (JCO) or above, retired employee (graduate), retired teacher, nambardar etc. The Social Audit teams which would bear the stamp of the Gram Sabha would check the estimate of every development work besides monitoring their effective implementation and ensuring quality. The final payment for the development works would be made after the approval by this committee, he added.